BT today announced it is accelerating its investment in dynamic network services by integrating a range of new technologies that will make it easier, faster and safer for organisations to move towards a cloud-based IT consumption model and succeed in their ambitious digital transformation journeys. Those services will leverage technology, systems and tools from BT and its best-of-breed ecosystem of partners. They will combine with the existing portfolio of network services to reinforce BT’s ability to be the leading global cloud services integrator for its multinational customers by covering areas such as self-service VPNs, flexible bandwidth, virtual services and more. As part of that investment, BT has selected Nuage Networks from Nokia to contribute technology for its future software defined WAN service. As large organisations in the UK and around the world rapidly increase their use of cloud services and seek to maximise the opportunities of their digital future, they want to be able to access specific network services with maximum flexibility and agility, while maintaining the highest degree of security. BT’s ongoing investments in dynamic network services respond to that demand through the development of innovative sets of capabilities, based on new programmable technology that leverages Network Function Virtualisation (NFV), Software Defined Networks (SDN) and Software Defined Wide Area Networking (SD-WAN). 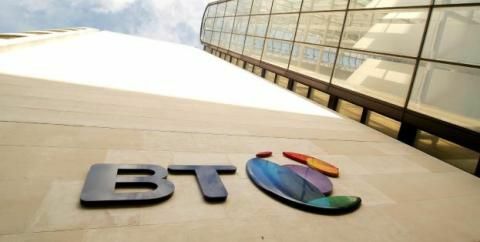 Those investments add to BT’s network services portfolio and execute on BT’s strategic vision of delivering the broadest possible range of network services to customers to meet their diverse connectivity needs. Today’s announcement follows the recent launch of BT Connect Intelligence IWAN,an innovative managed service that enables organisations to automatically route and optimise network traffic and gain visibility of applications performance without spending more on bandwidth. The initial launch of BT’s SD-WAN service incorporating Nuage Networks technology from Nokia is planned for early 2017.It is specifically being developed to serve global organisations using a cloud-based IT consumption model and will complement BT’s existing IP and Ethernet VPN offering. In the coming months, BT will unveil further details of its roadmap for other software-defined services, aligning to the SDN capabilities that are being introduced in BT’s cloud-service nodes. These will enable organisations to control both their network connectivity and hosted applications from a single SDN-automated infrastructure. Organisations will also be able to choose how they take this control. Their options will include a portal-based self-service or centralised account-driven service management. Also coming, BT’s SD-WAN services will integrate with new virtual services that will include ‘try before you buy’ capabilities and be consumed on a utility basis. Virtual Customer Premises Equipment (vCPE) capabilities will provide integrated 'branch in a box' services, using the centralised automation of SD-WAN. And, with this, customers will be able to simultaneously control their on-premise and network applications. Details about BT’s ‘Cloud of Clouds’ portfolio strategy and Dynamic Network Services capabilities can be found here.